Google updates all the time and we rarely see little affect with our stats. But last week Google launched a significant broad core algorithm update. With broad core updates we see big fluctuations over a course of a week. Because these wonky stats are the norm for us we don’t get too rattled by it. Basically the core algorithms are being updated and typically the values are being changed and adjusted and Google’s not telling us how or why. When Google adjusts valuations its always had positive effects for those following Google webmaster guidelines. As well as penalties for those who are not. For example Google’s algorithm named Penguin goes after spam links, black hat practices like link buying, content scrapping, link exchange schemes, automated content and news content re-posting to name a few. These websites will land a heavy ranking penalty as a result. This is why you want to always play by the rules. Often after a broad core update some web pages that were not ranking well will begin to climb in the rankings. If there is a small drop in ranking, this will normally adjust itself over a course of a few days. 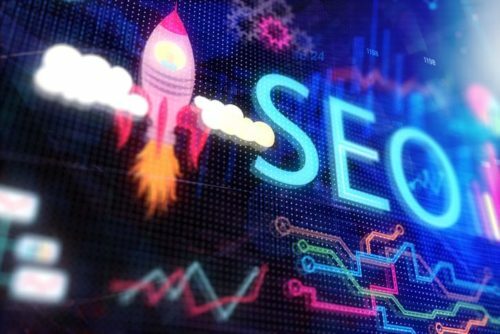 If those pages do not improve your SEO professional will analyze why and do the required fine tuning to improve SEO results. Thoughtful on-page and off-page back links. Search engines like quality, fast user friendly websites that are not weighted down by old construction and outdated content, long title tags and junk code that tends to find its way in. Remember that the Google search engine is a constantly expanding and Googles AI is ‘machine learning’ not machine thinking, but it is intuitive. Those core algorithms are collecting combined information from search patterns, to intent and keywords and voice and much more to drive results. A new structured website built from an SEO Design perspective first, is best for optimal results.